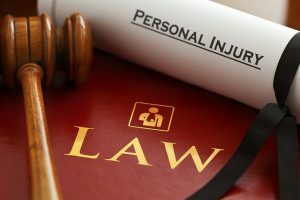 If you find yourself in the unfortunate situation of dealing with a personal injury, you may be wondering whether you should file a personal injury law suit. Why may some people shy away from the idea? The reasons can vary, however one factor that may play a role is effort. After suffering a personal injury, energy and motivation levels can be low. The person can be fully focused on getting better, rather than entering the world of red tape. Often apprehension, lack of legal knowledge and a fear of adding to an already stressful situation can cause people to hesitate about the prospect of filing a law suit. Whilst such reasons are understandable, in general they should not stand in the way. In fact, let’s take a look at a few of the key reasons why you certainly should file a personal injury law suit. If you have received an injury as a result of the action of another party, you have an entitlement to file for compensation for the damages caused. Remember, you may think that your injuries will only be a slight hindrance to your life, however the opposite may be the case. Recovery may take longer than you anticipated and your normal career may be a struggle for the foreseeable future. Filing a personal injury law suit brings the seriousness of the situation to light. This may result in a better and safer system coming into play, or at least an increased awareness of safety. Such a benefit can come to the aid of others, perhaps even preventing a similar injury. Whilst filing a personal injury law suit can come with a level of stress, it is an undertaking that should be seriously considered by anyone who finds themselves in such a situation.